I cannot get over the new musical down at the Atlantic Theater Company. If it doesn’t get extended or picked up somewhere else, what a crime that would be. I couldn’t tell you the last time I saw something this original and simultaneously this good. Sadly, the two things rarely go hand in hand anymore. So. Some background. Found: A New Musical is based on FOUND magazine and how it got started (ahem, founded), from its humble beginnings to later successes. The magazine is a collection of found items: notes, love letters, lists, anything you might find on the ground somewhere. Davy Rothbart started gathering said stuff and building a portfolio if you will. And now, Tony nominee Hunter Bell ([title of show]) and Lee Overtree have turned Davy’s story (and these real found notes) into a musical. How does one do this, I hear you ask? The story itself is familiar; we’ve seen this trope before, but not told in this way. Found notes are interspersed within FOUND’s origin story – imagine that the notes serve as the subtext. An ensemble member will jump out and share a little blurb or sing a quick one-liner (which will also be projected on the walls) commenting on the scenes at hand. For example, if two characters are speaking and you can tell there is a spark between them, someone is going to interrupt with a love note written by a 7th grader. These moments are seamlessly weaved into the plot and vice versa (the plot going where it needs to at times in order to share top-quality finds). The letters also serve as the lyrics to the majority of the songs. How amazing is that? 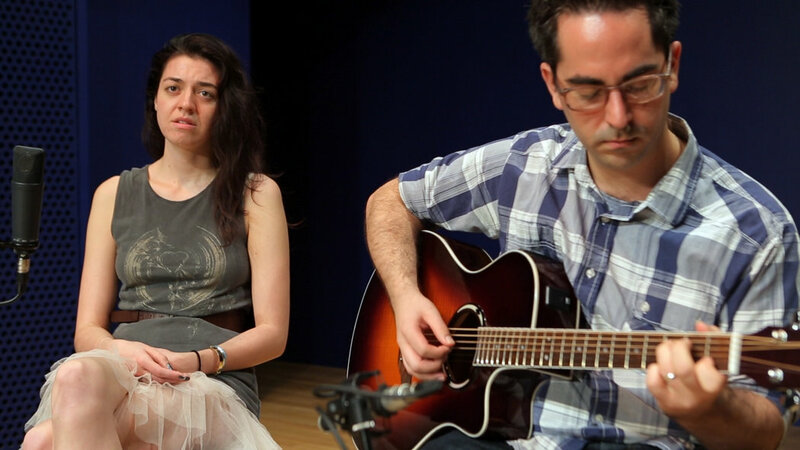 Except for a few original numbers (all wonderfully written by Eli Bolin), the remaining songs consist of new music but words from these found items (click here to hear a ballad from the show). The notes are for the most part hilarious, some tender, others heartbreaking. And they’re all so relatable. Much of the joy from the show comes from the fact that these items were written by real people. It’s also refreshing to see the notes themselves in the set/projection design. Who writes things down anymore? Here we can remember a time of passed notes in class instead of texts, to-do lists instead of a phone app, a break-up letter instead of an email. The musical has miraculously found a way to match the varying tones of these letters, lists, and scraps of trash – turning the mood on a dime. 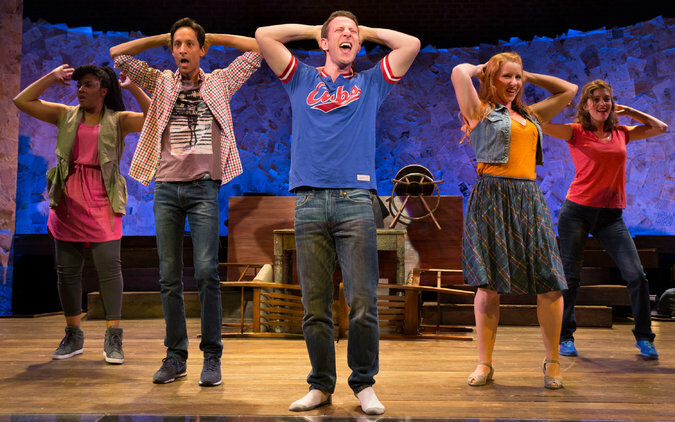 Found features a fantastic talented ensemble, led charmingly by Nick Blaemire as Davy. Barrett Wilbert Weed plays Denise, Davy’s roommate, and damn, girl can sing. I would list the standouts among the cast, but they all get a chance to shine so I’ll list them all instead: Christina Anthony, Andrew Call, Daniel Everidge, Orville Mendoza, Betsy Morgan, Molly Pope, Danny Pudi (Community fans out there? ), and Sandy Rustin. Wrapped up in this extremely funny, modern, fresh musical is also a touching, honest message – one that is not pushed. It’s there for us to pick up on throughout the piece and is only directly addressed briefly in the second act. One of Bell’s strengths has always been sharing an idea that’s simple and true but often forgotten in our day-to-day-life craziness, without hitting you over the head with it. On the chance this production doesn’t have a future here in the city, I suggest you become one of the lucky few to catch it before November 9th.